This years Shrewsbury Steam Engine and Vintage Vehicle Rally, is currently taking place at Onslow Park in Shrewsbury on the 28th and 29th August, and once again features a large array of Vintage Tractors, Traction Engines, Steam Rollers, Stationary Farm Machinery, Steam Powered Commercial Vehicles, Fairground Organs & Showmans Engines. 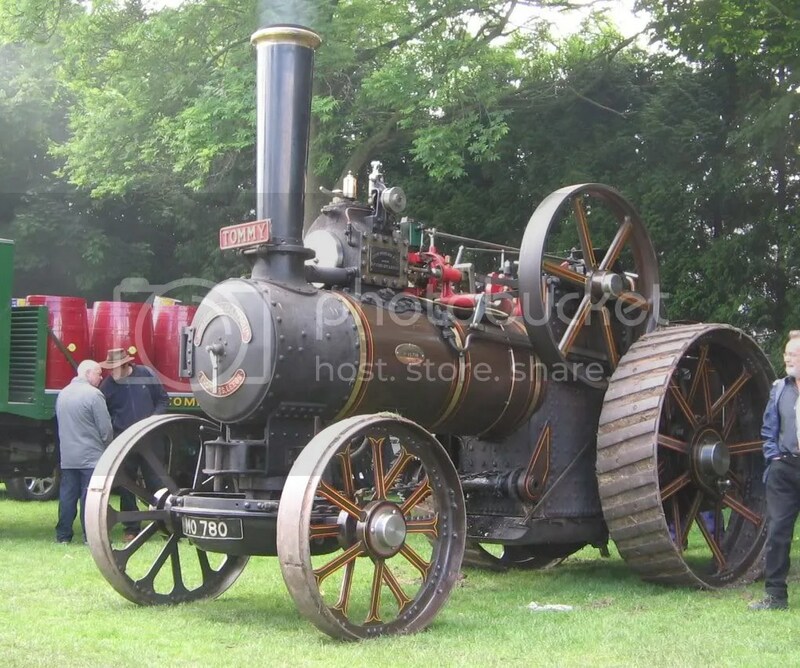 In addition there are also lots more Beautifully preserved steam powered historic Machinery, Commercial vehicles, vintage motorbikes, buses, fire Engines and classic Cars on display all set within 45 acres of Parkland. Once again It is organised and run by The County of Shropshire Steam Engine & Vintage Vehicle Society, who this year celebrate their 50th Anniversary, having been going since 1961. So To mark the occasion they are having twice the normal number of entrants, making this their biggest Steam Engine Rally To date.